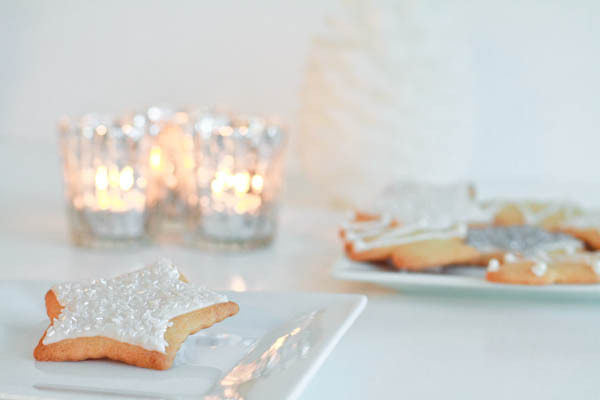 Moms (my grandmother) searched for many years to find the perfect sugar cookie recipe. 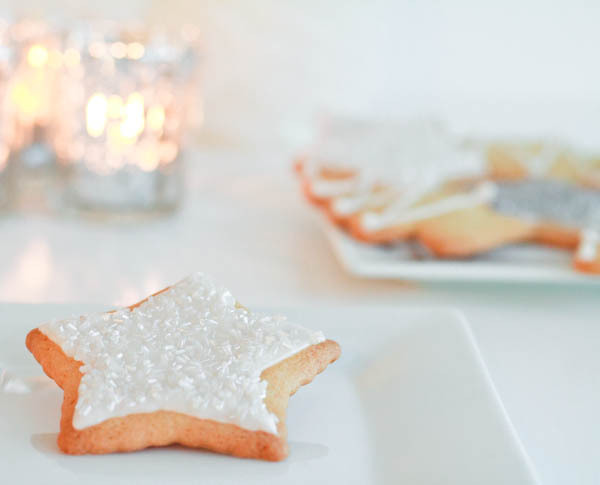 These cookies are thin, crisp, and melt in your mouth. The best thing about them is you can make the dough ahead of time and when the time rolls around when you want to bake a batch, take the dough out of the freezer, roll, cut and bake! My Pops (grandfather) managed to eat all 20 cookies we made yesterday within 4 hours. They’re THAT good. Cream the crisco, sugar, egg, milk, vanilla extract and lemon extract. Sift in the flour, baking powder, soda and salt into the creamed ingredients. Chill the dough overnight or until thoroughly chilled. You can keep the dough chilled for up to 2 weeks and bake when desired. Roll out the dough onto a floured surface and roll as thin as possible (about 1/4″ thick). Sprinkle any colored sugar as desired prior to baking. Bake 5-7 minutes or until light brown (Don’t over bake). Oh my gosh!!!! Those look are so pretty and yummmy! P.S. I’m literally drooling! ha! ha! Fabulous! Crisco is another unknown product here 🙁 Will butter suffice as a substitute? If you use trans-fat-free Crisco, it’s healthier for you than butter. There is also a butter flavored Crisco. It’s the vegetable shortening that makes the cookies so crisp. Thanks for the recipe! 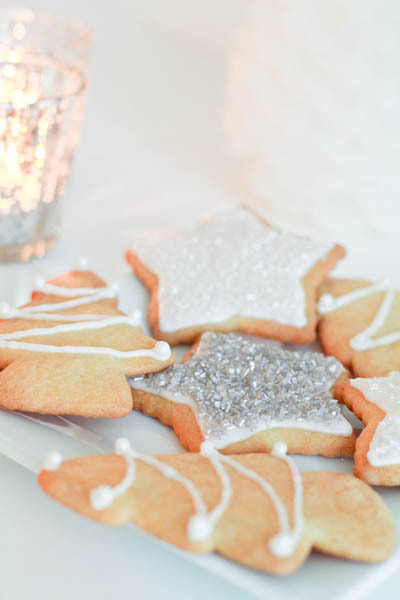 The frosting on that main cookie is so adorable! Just a question, do these turn out more crunchy or soft? They are a thin and hard sugar cookie. 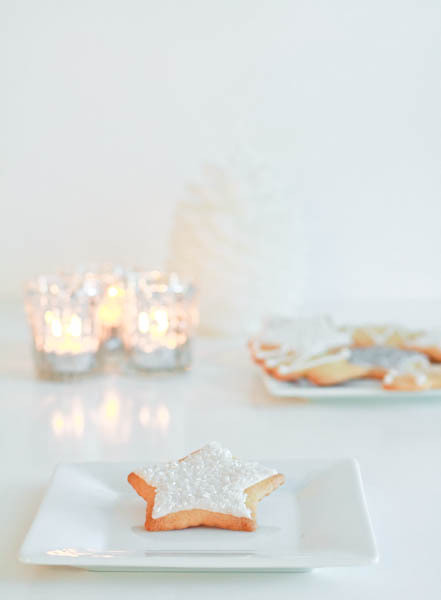 Most often I prefer a soft chewy cookie, but with the icing, these cookies are classic sugar cookies. Does “sprinkle any colored sure as desired prior to baking” mean sprinkle with sugar?! Yes, thank you so much for catching that, Emily! 😀 Happy Baking! What are you using for the frosting? Great question Rosemarie! I used the basic royal frosting recipe from Wilton. 😀 Happy Baking!